The ultimate party experience! Not only will you get to climb all the ROCK BOX elements but the session includes party games and the ROCK BOX challenge. 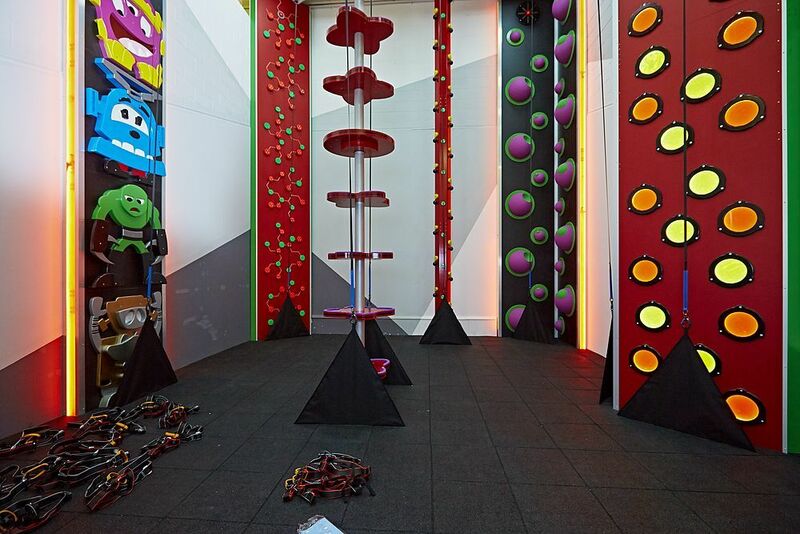 The group is split into teams to compete against each other on the speed wall, head to head climbs and seeing which team can collect all their ROCK BOX tokens (which are of course located at the top of each ROCK BOX element). Party climbing can be booked as a 1 hour party (maximum is 12 children and this includes the birthday child), or a 90 minute party (maximum 18 children including the birthday child). Parties are for children aged 5 - 15 years and are available to book on a Friday evening, Saturday or Sunday.